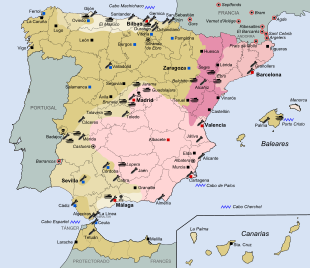 The Spanish Civil War ( Spanish: Guerra Civil Española) [nb 1] took place from 1936 to 1939. 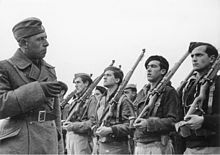 Republicans loyal to the left-leaning Second Spanish Republic, in alliance with the Anarchists and Communists, fought against the Nationalists, an alliance of Falangists, Monarchists, and Catholics, led by General Francisco Franco. 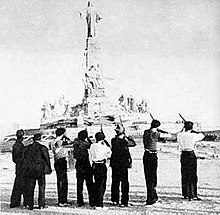 Due to the international political climate at the time, the war had many facets, and different views saw it as class struggle, a war of religion, a struggle between dictatorship and republican democracy, between revolution and counterrevolution, between fascism and communism. The Nationalists won the war in early 1939 and ruled Spain until Franco's death in November 1975. 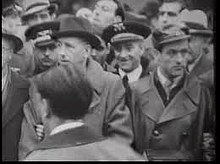 French novelist André Malraux was a strong supporter of the republican cause; he tried to organise a volunteer air force (Escadrile Espana) on the republican side but as a practical organiser and squadron leader he was somewhat idealistic and inefficient. The Regular Spanish Air force commander Andrés García La Calle was openly critical of Malraux's military efficiency but recognised his usefulness as a propagandist. 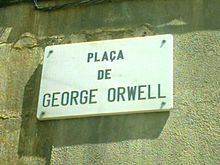 His novel L'Espoir and the film version he produced and directed ( Espoir: Sierra de Teruel) were a great help for the Republican cause in France. 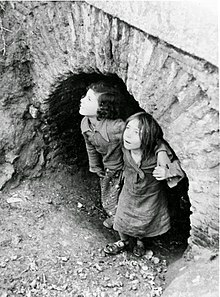 UGT ( Unión General de Trabajadores - General Union of Workers): The socialist trade union. 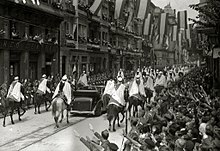 The UGT was formally linked to the PSOE, and the bulk of the union followed Caballero. CNT ( Confederación Nacional del Trabajo - National Confederation of Labour): The confederation of anarcho-syndicalist trade unions. 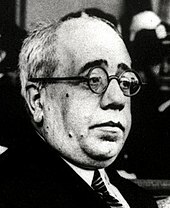 FAI ( Federación Anarquista Ibérica - Iberian Anarchist Federation): The federation of anarchist groups, very active in the Republican militias. ^ Also known as The Crusade ( Spanish: La Cruzada) among Nationalists, the Fourth Carlist War ( Spanish: Cuarta Guerra Carlista) among Carlists, and The Rebellion ( Spanish: La Rebelión) or Uprising ( Spanish: Sublevación) among Republicans. ^ Hansen, Edward C. (2 January 1984). 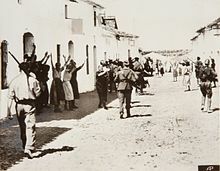 "The Anarchists of Casas Viejas (Book Review)". Ethnohistory. 31 (3): 235–236. doi: 10.2307/482644. Retrieved 13 August 2015. 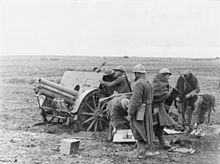 ^ Orden, circular, creando un Comisariado general de Guerra con la misión que se indica [Order, circular, creating a general comisariat of war with the indicated mission] ( PDF) (in Spanish). IV. 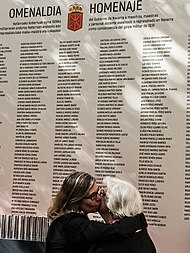 Gaceta de Madrid: diario oficial de la República. 16 October 1936. p. 355. 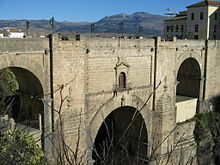 ^ " Morocco tackles painful role in Spain's past," Reuters 14 January 2009. ^ Emanuel Adler and Vincent Pouliot (2011). International Practices. Cambridge University Press. pp. 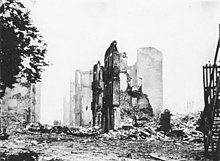 184–85. doi: 10.1017/CBO9780511862373. ISBN 978-1-139-50158-3. ^ Julius Ruiz (2007). 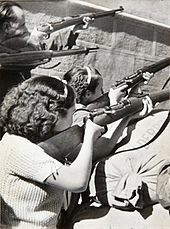 "Defending the Republic: The García Atadell Brigade in Madrid, 1936". Journal of Contemporary History. 42 (1): 97. doi: 10.1177/0022009407071625. ^ Fernández-Álvarez, José-Paulino; Rubio-Melendi, David; Martínez-Velasco, Antxoka; Pringle, Jamie K.; Aguilera, Hector-David (2016). 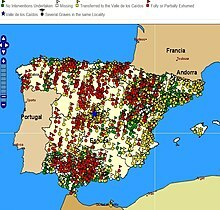 "Discovery of a mass grave from the Spanish Civil War using Ground Penetrating Radar and forensic archaeology". Forensic Science International. 267: e10–e17. doi: 10.1016/j.forsciint.2016.05.040. PMID 27318840. Benton, Gregor; Pieke, Frank N. (1998). The Chinese in Europe. 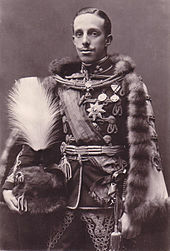 Macmillan. p. 390. ISBN 0-333-66913-4. Retrieved 14 July 2010. Ealham, Chris; Richards, Michael (2005). 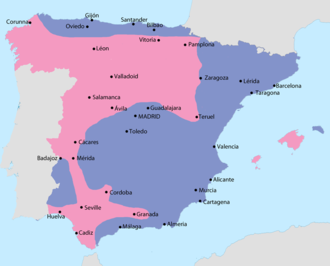 The Splintering of Spain. Cambridge University Press. doi: 10.1017/CBO9780511497025. ISBN 978-0-521-82178-0. Graham, Helen (2005). 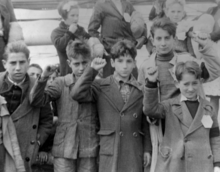 The Spanish Civil War: A very short introduction. New York: Oxford University Press. doi: 10.1093/actrade/9780192803771.001.0001. ISBN 978-0-19-280377-1. Graham, Helen (1988). 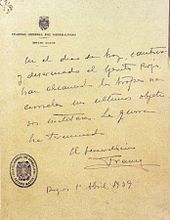 "The Spanish Socialist Party in Power and the Government of Juan Negrín, 1937–9". European History Quarterly. 18 (2): 175–206. doi: 10.1177/026569148801800203. .